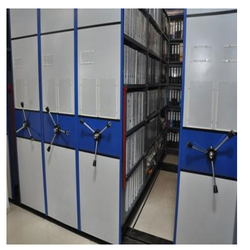 We are a leading Manufacturer of mobile compactor rack, heavy duty mobile racks, mobile storage rack, mini compactor, mobile shelving and mobile files compactor system from Pune, India. Application Bank, Offices , Corporate ,Store etc. Usage/Application Office, Banks, Record Room, Store,etc. 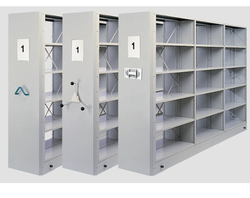 Mobile Compactors Storage Systems are strong enough to provide space that is well efficient for racks. 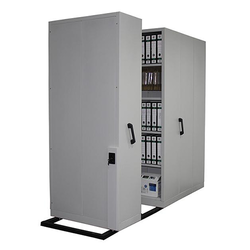 These storage systems are constructed and designed to meet customer requirements. Mobile Compactors Storage System is generally used in swift moving consumer goods industries, warehouses and factories. Mobile shelving units are special types of storage units that are designed to maximize the use of space in a warehouse or storage area. The movable storage racks are essential to make the best use of available space, and they can achieve it easily. 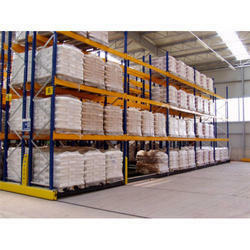 SPS Ideal Solutions manufacture industry-grade, durable storage racks, with space saving capabilities. 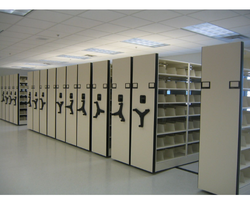 Our products will give you an opportunity to double the storage capacity of a given area. Application Warehouse, Store, Office etc. Mini Compactor offered can be made available by us in different finish design options to choose from and are offered in different load bearing options to choose from. Our reputation in the market is largely attributable to our popular range of Mobile Shelving. 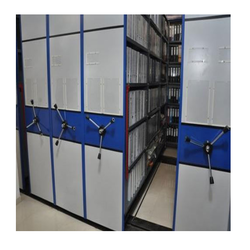 This shelving system is checked by our quality experts so as to supply a perfect range. Mobile Files Compactor System is a compact storage system comprising of shelving mounted on mobile bases which slide along rails. We at Sai Steel range Storage Systems have a prominent manufacturer and supplier of a wide range of Mechanical Mobile Compactor. Backed by our vast domain expertise, we have come up with Mechanical Compactors for our revered customers. We at Sai Steel range Storage Systems have a prominent manufacturer and supplier of a wide range of Mobile Compactor Storage.